Created by callum.ds on Apr 1, 2015 3:35 AM. Last modified by callum.ds on May 14, 2015 4:18 AM. 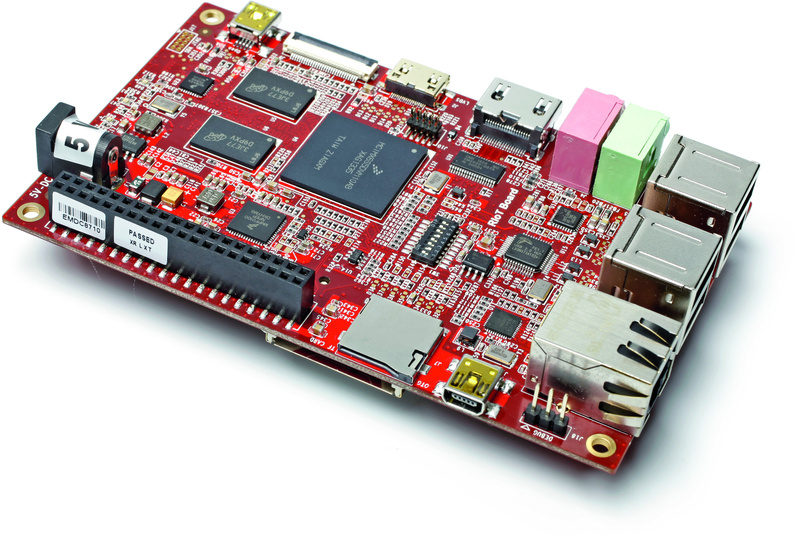 The RIoTboard RIoTboard is an open source platform based on an i.MX 6Solo applications processor, using an ARM® Cortex®-A9 architecture. element14 has produced a six part video series for the RIoTboard to help you get started. The video series will cover basics such as connecting displays and sensors. The tutorials will use both; Linux (Ubuntu) and Android (ICS) operating systems with the RIoTboard. Basic RIoTboard introductions are also available HERE. Part 1:How to connect different Displays to the RIoTboard on both Android and Linux. Part 3: Creating a bootable SD card. Part 4: Connecting cameras to the RIoT board.